IMPORTANT INFORMATION ABOUT THE END OF THE AUCTION WHEN IT HAPPENS ON APRIL 7, 3PM EST. IF YOU HAVE WON A BOOK, PLEASE CHECK YOUR EMAIL FOR A NOTIFICATION FROM PAYPAL. IT MAY BE IN YOUR JUNK MAIL. So please be honest, please follow through! GRANDSON OF ETA: We are extending the auction for a week—ending Saturday, April 7, 3pm(ish) EST. The goal is $2,900 and we’re about halfway now; lots of items still at a reasonable price so bid hem up! Please spread the word that the auction has been extended! SON OF ETA: Woohoo! We have now raised $1,140 of the $2,900 goal for the @neil-gaiman signed books auction to benefit Star Cat Books. There are 5.5 days to go now. Come bid now! There are still some low bids on signed copies of GOOD OMENS (to be a series on Amazon in 2019, starring David Tennant & Michael Sheen). Good deals on other books still at lower bids, too! Support an indie bookstore — we are becoming a rare breed. Please read all the instructions below. We are doing it again, folks! A Neil Gaiman Signed Books Auction to raise money for Star Cat Books, to get us through the winter season here in VT (yes, it’s still winter here!). 1. Bid often and bid high! This is to keep the bookstore in existence. 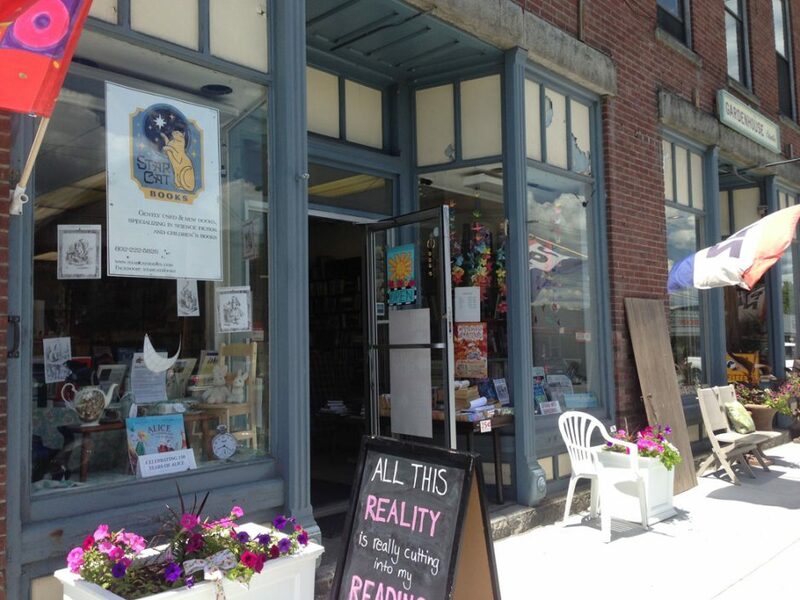 Independent bookstores rely on their readers to help keep them in business. During slow periods like winter, we rely on our patrons — in this case the lovely NEIL GAIMAN, who is a friend and a wonderful guy, all around. And we rely on you, his fans, to help us out. 2. Be aware we need to ship to you (either book rate or first class) and take that into account when you bid. If you live overseas, shipping can be as much as $50 for us to send to you—take that into consideration when you’re bidding to win, please. This year we’ve deliberately kept the initial bid low ($50) to encourage bidding. Last time we ran this, two years ago, a lot of books went up to $200 each. It’s what kept us going. Bid high! Bid often! THE DEADLINE FOR BIDDING IS MARCH 31 SATURDAY, APRIL 7, 3PM Eastern Standard Time US. EVERY TIME SOMEONE OUTBIDS YOU, YOU WILL GET A NOTICE (just like in eBay). YES, YOU CAN BID AGAIN. PLEASE DO. Payment is through PayPal (our apologies, but it’s the only viable option to the system). You can, using PayPal, use debit, credit, e-checks. It’s very flexible. Now go out there and start bidding! This entry was posted in Neil Gaiman auction and tagged Neil Gaiman, Neil Gaiman book auction. Bookmark the permalink.